Two exciting and innovative products new to the UK market, the LogiMat and AutoCruiser from SSI Schaefer, will be on show at this year’s IMHX. The LogiMat, a goods-to-man picking, space-saving, vertical lift storage system ideal for small parts storage offering a high order picking performance, will be part of an interactive live demonstration of parts picking, transport and assembly for visitors at the show. 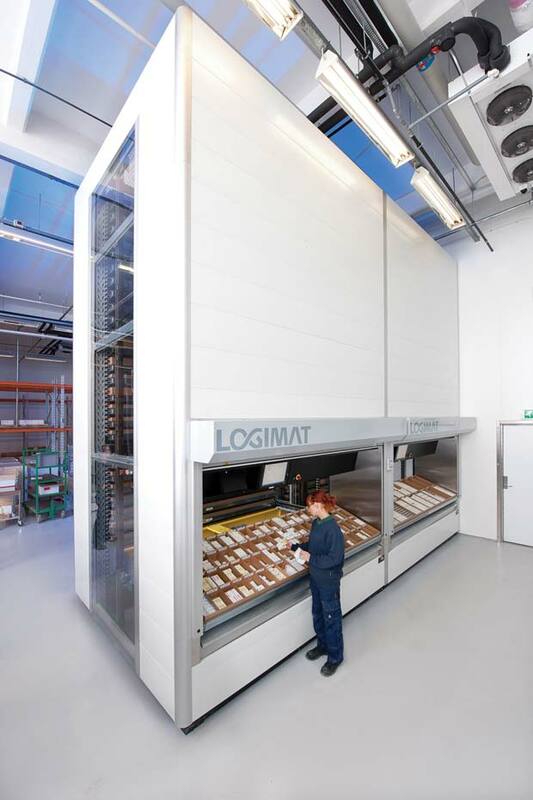 An alternative to storing and order picking small parts in a compact and ergonomic way, the LogiMat occupies only a small footprint providing 90% storage space saving in comparison to conventional static solutions. Not only does it provide reduced energy costs, its modular design allows the system to be fully adjustable to individual requirements providing numerous design options with the flexibility to extend in the future. The design can be compared to an oversized drawer cabinet with two stacks of trays (one in the front and one in the rear) and between those stacks operates a lift, which extracts individual trays as required and delivers them to the service window. 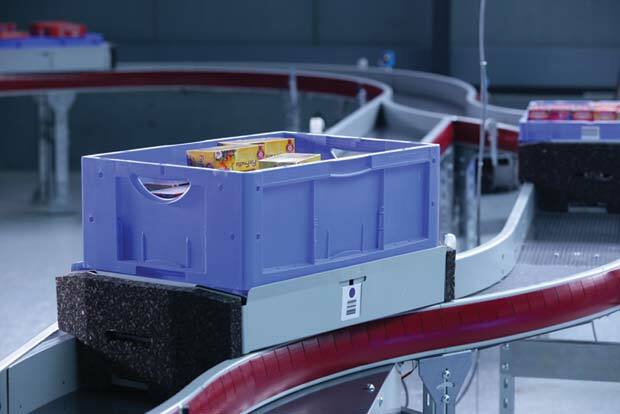 With minimized order picking errors through its computer-controlled processes, Schaefer’s LogiSoft software can also be combined or integrated into an existing warehouse management system with ease. The Schaefer Auto Cruiser (SAC) unveiled in Europe during 2011 will be on show at IMHX for the first time in the UK. This remarkable and innovative system specifically designed to bridge the gap between forklift transport and traditional conveyor technology is an extremely competitive and flexible transport system for low to average throughput. Perfect for industrial manufacturing and assembly operations, it is suitable for both short and long distance transport and designed to hold loads of 1g up to 30 kg – however, the system can be configured for heavier loads if needed. All components, including scales, rails, loading stations, curves, switches and turn tables are supplied pre-installed, therefore allowing the SAC to be put into operation immediately – additional infrastructure is not required, a simple electricity socket is sufficient. SSI Schaefer’s stand will be packed full of other innovative solutions designed to meet and exceed the storage, order picking and handling demands of today’s competitive logistics industry. Traditional solution routes will stand alongside cutting edge automated systems, both offering rapid returns on investment, all manufactured within the SSI Schaefer Group. SSI Schaefer is the UK and world’s leading supplier of logistics and material flow systems with a product offering ranging from plastic storage and transit containers to high bay warehousing systems and almost everything and anything in between – all of its own manufacture. SSI Schaefer’s unrivalled in-house expertise in the design and installation of major – and often bespoke – turnkey materials handling and storage projects has resulted in many successful automated picking and high bay warehousing schemes for leading blue-chip companies and international organisations. Typical products are storage and transport containers, shelf storage systems, pallet racks, long load racks and mobile racking systems, which combine with automated picking systems to form the basis of manually operated or fully integrated storage solutions.